Mr. Dave Thomas is a physicist and mathematician. 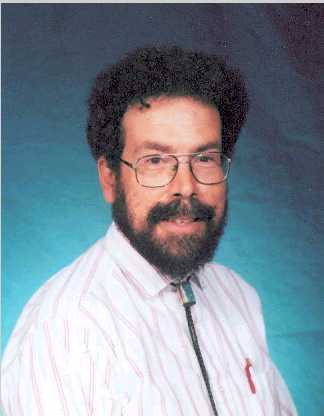 He received bachelor degrees in mathematics and in physics, and a master of science in mathematics, from the New Mexico Institute of Mining and Technology, where he was awarded the Brown Medal and the Langmuir Award. Dave is president of the science group New Mexicans for Science and Reason (http://www.nmsr.org), and also is a Fellow of CSI (Committee for Skeptical Inquiry), the publishers of Skeptical Inquirer. He has published several articles in Skeptical Inquirer on the Roswell and Aztec UFO Incidents, as well as on the Bible Code. Dave has also published in Scientific American (Dec. 1980 cover article), and has several patents. He received the National Center for Science Education's Friend of Darwin Award in 2000. Dave is married, and has two sons. He enjoys playing bluegrass, and and performs juggling and magic shows for elementary schools and other groups. Dave is past president of the Coalition for Excellence on Science and Math Education (CESE), and is past president of the New Mexico Academy of Science. "The Roswell Incident and Project Mogul" by Dave Thomas July/August 1995, 19(4)15-18. "The Roswell Fragment-Case Closed" by David E. Thomas Nov./Dec. 1996, 20(6)5-6. "A Different Angle on the Socorro UFO of 1964" by Dave Thomas, July/Aug 2001 25(4) 5-6. 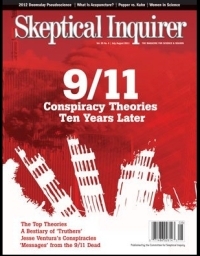 "Bait and Switch on 'Roswell: The Smoking Gun'" by David E. Thomas, March/April 2003, 27(2) 16-18,22. "It's Ba-a-ack! The Bible Code II" by David E. Thomas, March/April 2003, 27(2) 59-60. Now Online, courtesy Southern Methodist University's Critical Thinking/Physics Class! The Ufo Invasion: The Roswell Incident, Alien Abductions, and Government Coverups by Kendrick Frazier (Editor), Barry Karr (Editor), Joe Nickell (Editor), Prometheus Books; (April 1997) ISBN: 1573921319. Ch.12, "The Roswell Incident and Project Mogul." Ch. 14, "The 'Roswell Fragment' - Case Closed." Chapter by Dave Thomas: Holy Rolling, "The Bible Code"
Skeptical Odysseys: Personal Accounts by the World's Leading Paranormal Inquirers, by Paul Kurtz, Prometheus Books; (August 1, 2001) ISBN: 1573928844. Chapter by Dave Thomas: Ch. 34, "Beyond the Bible Code: Hidden Messages Everywhere!" "Does Evolution = Atheism?" p. 181-186. "Creationism in New Mexico" p. 411-414.